I have a Dreamcade Replay which seems to be very similar to the AK1. I have seen a video where a user added some thermal paste and a coin to keep things a little cooler. I would not want to go that route. However I was hoping to replace the stock cooling with a low profile heatsink with a better fan to keep things a little cooler, and ideally clear the top cover. Has anyone else tried this? If so what model did you use? Reading your question forced me to finally test the Noctua NF-A4x10 FLX fan. The size fits perfectly to the original fan: 40x10mm. I stuck my ear to the device to make sure of its power during the quick test, it seemed to turn, and I feel now to have a fanless device as it became perfectly silent! ! 1st Update 40 minutes after the end of the bench: I am reassured, the temperatures have recovered to their minimum values. 2nd update: To dispel my doubts, I uninstalled and reinstalled Coretemp. This time, the temperatures recorded are more consistent. (08-12-2018, 09:26 PM)actiftech Wrote: Reading your question forced me to finally test the Noctua NF-A4x10 FLX fan. The size fits perfectly to the original fan: 40x10mm. Thank you for taking the time to do this. I made a note of the fan you mentioned and will link this thread over to Replay Central so other users can take a look. I did not even think to just swap the fan. I also don't like the noise of the fan, so I decided to do something about it. Today I ordered the Noctua NF-A4x10 FLX fan, to test it out. I will also post my results. Thank you actiftech, to share this with us! Though this is a good solution, I still want to change the whole cooler. For that I have to know, what chip I have to cool. I wrote to the ACEPC staff (info@iacepc.com), but they gave me no response (very dissapointed!). They could at least respond that they don't want to tell me, or they don't know. So... does any of you know, which chip should I cool with the cooler? I made a photo of the chip-s that are connected to the coller now and gave them numers (link: https://ibb.co/dx83aK). But I am not sure, if all of them need to be cooled? I definitely know the processor chip (1) has to be cooled. What about 2 and 3? Is there a way, that I can figure that out myself? After I will have an answer, I will order a copper cooler and copper plates, to connect the copper cooler with the chip-s, because now there is a thick thermal pad in between. There is a lot of choice on ebay or aliexpress. I love your compilation of different heat dissipation processes. My choice of the Noctua fan was to get rid of the low noise of the original fan. I did not control precisely if the temperatures really went down. The sharing is stimulating, I am very interested in what you plan to test! (09-06-2018, 10:30 PM)OmeyOcan Wrote: Today I ordered the Noctua NF-A4x10 FLX fan, to test it out. I will also post my results. Thank you actiftech, to share this with us! I ordered the 5 volt version since the original Replay fan is 5 volts. (NF-A4X10-FLX 5V) It also seems like these connectors will fit the fan socket on the Replay, and I would imagine the AK1 uses the same connector. 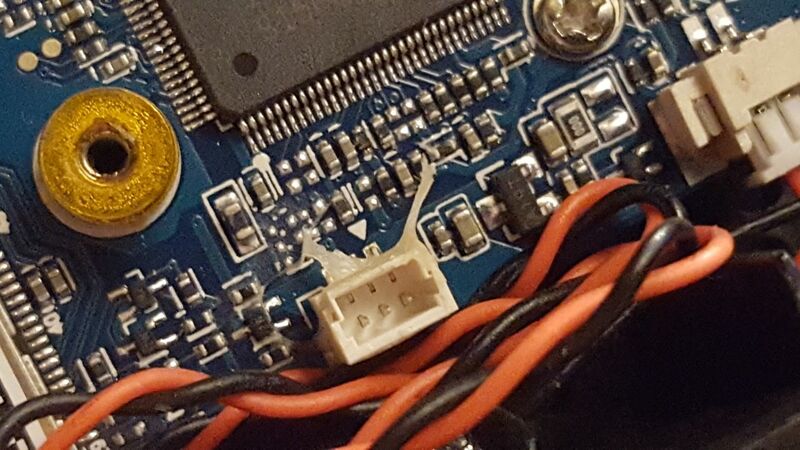 This way you don't have to hack up your stock fan for its connector. I also contacted Ace PC and did not get much of a response. I was considering replacing the entire cooling set up, but I was not sure about clearance so that I could keep the top on, and a way to direct the air out to the vent like stock. Just to clarify. If the fan runs always full speed - there is no sense to change thermal pad to copper plate. Only fan + pad change makes sense. Or can the fan be stopped depending on cpu temp? (09-13-2018, 02:17 PM)WheatPasta Wrote: I ordered the 5 volt version since the original Replay fan is 5 volts. (NF-A4X10-FLX 5V) It also seems like these connectors will fit the fan socket on the Replay, and I would imagine the AK1 uses the same connector. This way you don't have to hack up your stock fan for its connector. WheatPasta thank you for the hint about the connectors. I was also looking into that, because, like you said, whith a cable like that I would not need to cut the original fan cable. I don't think you linked the right connector because this one is 3pin. ACEPC AK1 fan uses 2pin... at least that's what I saw, when I disassembled mine ;-) The main problem is that I don't know how to measure this 2pin connector, which one to order. This 2 pin connector is not a regular size. It is smaller than regular. Maybe I will look into that more. After today, I am not sure what to do. The original fan takes air on top and blows it sideways. Noctua fan takes air from top and blows it down. Or from bottom to top. Depends how you turn it. In my eyes, these are the only two options that this fan gives, if you place it where the original fan is. So I was also a bit worried about the airflow. actiftech did a good job with the tests that show that the airflow is ok. WheatPasta where do you intend to place the tape? (09-14-2018, 08:34 AM)shwed.berlin Wrote: Just to clarify. If the fan runs always full speed - there is no sense to change thermal pad to copper plate. The original fan from ACEPC AK1 turns on and off and also changes speed depending on the CPU temperature. For the Replay It looks like it is a 3 pin, and that the center pin is not used. I believe the Replay does have it's own main board, and does not use the one out of an AK1. (It also has a VGA connector instead of a type C) So it is possible that the fan connector is different. Unfortunately I don't own an AK1 to compare it to. Just got the wires in. The one without a middle pin in the one going to the stock fan. Hopefully I can get it tested in the next few days here. (09-15-2018, 02:26 PM)OmeyOcan Wrote: inside of it I received "OmniJoin Adaptor Set"
My 5 volt version did not come with this, and a quick Amazon search makes it seem like I can not buy it seperatly. I was just going to do it the old fashion way, but I am curious of your results. (09-15-2018, 02:26 PM)OmeyOcan Wrote: WheatPasta where do you intend to place the tape? When I first looked at the fan I thought only the side opposite of the way the air directing shroud goes was closed. Now that you asked me, and I took a better look I can see that the three sides are closed. Now I might not put any tape and just let it be. I'll have think about it and be and see if it would be better to close off all three sides or just leave it all open. I've completed everything talked about in this thread and i'll share my process step by step as well as the end results. First of all, I believe I received a defective fan in my PC which is what lead me to this post. My original fan (stock blower that comes with AcePC ak1) was ridiculously loud. It has 3 settings. The low setting was always on and easily noticeable in a silent room. The medium was noticeable regardless of what was going on in the room (tv etc). The high setting was a wind tunnel. So there lied the reason I came to change the fan. Lastly, I took no pictures during my process because I wasn't sure if it was going to work at the time. Prologue: Using Speedfan I got 2 temp readings. ACPI: 50 idle and 85 under max load. CPU: 35 idle and 78 under max load. 1) The first step is to replace the fan for maximum noise reduction (Note: this will barely lower temperatures if at all). Get the Noctua A-Series (NF-A4X10-FLX 5V). MAKE SURE IT'S THE 5V & NOT THE 12V. Unfortunately in my case the link I provided does not come with the Omnijoin adapter set which is required to splice the wires together. You can also get your own solder-less wire connector instead of the omnijoin if you know what you're looking for. 1-1) You will need to open the case, unscrew the CPU fan radiator and remove the entire radiator from the case. 1-2) Take the top off the radiator so you have access to the blower fan. 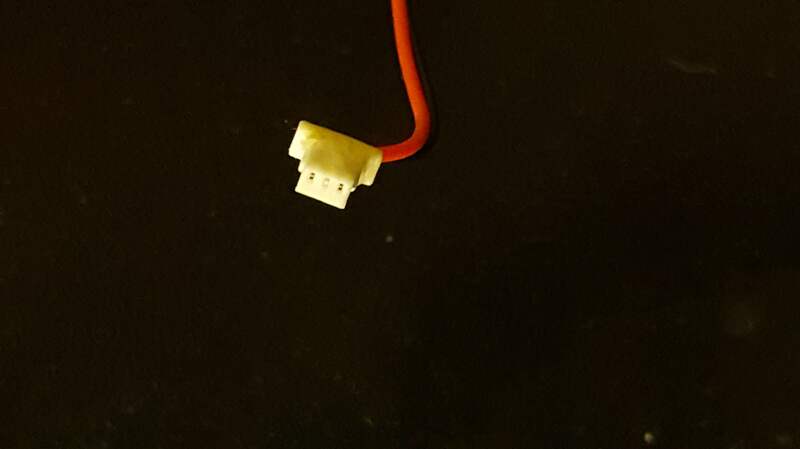 1-4) Take the Omnijoin adapter cable and connect it to the now free 5v header black and red wires using the supplied cable joiners. 1-5) Connect the Noctua A-Series to the Omnijoin adapter cable. Place into the radiator housing making sure the arrows on one of the sides of the fan (showing which way the air is directed) line up to push the air out the same way the blower was pointing. CPU: 33 idle and 75 max load. 2) The Next step is to lower your temps by replacing your foam pad with a copper shim and thermal paste. Here is a Russian guy using a coin and an unnecessary amount of thermal paste. 2-1) Remove the CPU radiator. In my case there was a single piece of thermal pad under the radiator - covering the CPU. (This pad is way too thick to properly dissipate the heat from the cores and mostly just acts as a protection to keep the CPU from cracking in the case that you move or shake the Mini-PC too violently). 2-3) Place a copper shim over the CPU after applying thermal paste to both sides and then place the radiator back on top. 2-3 Explained...) First clean the CPU with isopropyl alcohol (anything between 70-99%. However, the closer to 99% the better). Then do the same with the bottom of the radiator and the copper pad. place a small dot of thermal compound on the cpu itself and rub it around with either a coffee filter or a plastic bag (Or if you have a tool meant for spreading thermal compound). Make sure not to let your finger touch the CPU or the thermal compound as your finger has oils on it that will mix into the compound and create air bubbles. Make sure the CPU has been completely covered by a very THIN layer of thermal paste. Now take the copper shim and do the exact same to both sides. (You may only need to do this to one side since the other side will already get the thermal paste that was applied to the CPU). Now place the copper shim flat on top of the CPU and and place the radiator on top of it. MAKE CERTAIN that it does not move from where you place it down. Screw the radiator back down semi-tight. 2-4) Turn the computer on and immediately check the temperatures. The AcePC Ak1 is now Completely Silent even with fan running on max speed. (Although it doesn't hit max speed until temps of 60-64.) EDIT: After a few weeks, the temperate now maxes out around 60 C but is still completely silent. Hope this helps anyone with a fan that was as loud as mine and doesn't want to return the mini-PC without trying to replace the fan first. Current time: 04-19-2019, 08:39 PM Powered By ACEPC Forum, © 2012-2019 ACEPC All Rights Reserved.